There is one moral; the love that springs forth from self-denial and blooms in deeds of beneficence. The orthodox say, 'This is good, that is bad. This is right, that is wrong,' but to a Sufi the source of all good deeds is love. Someone may say that this is the source of bad deeds also, but that is not so; it is lack of love. Our virtues are made of love, and our sins are caused by lack of it. Love turns sins into virtues, and its lack makes virtues meaningless. Christ said when a woman was brought before Him accused of sin, 'Her sins are forgiven, for she loved much.' Heaven is made so beautiful with love, and life becomes a hell through the lack of it. Love in reality creates harmony in one's life on earth and peace in heaven. Therefore, as this world is a hell to the loveless, the same hell will become distinct in the next world. If the soul and heart are incapable of love even a man's relations and nearest friends are strangers. He is indifferent to them, and dislikes their company. It is easy to begin to love, and this everybody, more or less, does. But it is difficult to continue to love, because love opens the eyes of the lover to see through the beloved, though it closes the eyes of the lover to all else. First, the more the lover knows the beloved, the more he begins to see the defects as well as the merits, which naturally in the beginning of love casts the beloved down from the high pedestal on which the lover had put her. Love must be absolutely free from selfishness, otherwise it does not produce proper illumination. If the fire has no flame it cannot give light, and smoke comes out of it, which is troublesome. Such is selfish love. Whether it be for man or for God it is fruitless, for though it appears to be love for another or love for God, it is in fact love for the self. Ideas that come to the mind of a lover such as, 'If you will love me I will love you, but if you do not love me I will not love you either,' or 'I love you as much as you love me,' and all such declarations are false pretensions of love. The part that a lover performs in life is much more difficult than that of the beloved. Tyranny on the part of the beloved is taken tolerantly and patiently by the lover as a natural thing in the path of love. There is a verse of Hafiz on resignation to the will of the beloved: 'I have broken my bowl of desire against the rock of the beloved's will. What may be done when my heart is won by the obstinate beloved, who does her own will and casts aside the desire of the lover?' This is the study of the lover and of the beloved's nature, that the beloved will do what she desires, while the lover lives in love. The breaking of it is the lover's death. Then the only way is resignation, either in the case of an earthly or of the divine Beloved. The lover never can grudge or grumble about any injustice done to him, and every fault of the beloved he hides under his mantle, as a man in poverty would hide the patch on his garment. The lover takes care not to hurt the feelings of the beloved in anything he does. But as delicate as is the sense of precaution in him, even more delicate is the sensitiveness of the one who is beloved in vain. Though love is light it becomes darkness when its law is not understood. Just as water, which cleans all things, becomes mud when mixed with earth, so love, when not understood rightly and when directed wrongly, becomes a curse instead of bliss. There are five chief sins against love, which turn nectar into poison. The first is when the lover deprives the beloved of freedom and happiness against her desire, because of his love. The next is when the lover gives way to a spirit of rivalry and jealousy or bitterness in love. Thirdly, if the lover doubts, distrusts, and suspects the one whom he loves. Fourthly, if he shrinks from enduring all the sorrows, pains, troubles, difficulties, and sufferings that come in the path of love. And finally, when the lover pursues his own will instead of complete resignation to the beloved's wish. These are the natural failings of a loving heart, as maladies are natural to the physical body. As lack of health makes life miserable, so lack of love makes the heart wretched. Only the lover who avoids these faults benefits by love, and arrives safely at his destination. Love lies in service. Only that which is done, not for fame or name, nor for the appreciation or thanks of those for whom it is done, is love's service. The lover shows kindness and beneficence to the beloved. He does whatever he can for the beloved in the way of help, service, sacrifice, kindness, or rescue, and hides it from the world and even from the beloved. If the beloved does anything for him he exaggerates it, idealizes it, makes it into a mountain from a molehill. He takes poison from the hands of the beloved as sugar, and love's pain in the wound of his heart is his only joy. By magnifying and idealizing whatever the beloved does for him and by diminishing and forgetting whatever he himself does for the beloved, he first develops his own gratitude, which creates all goodness in his life. Separation is needed according to nature's law, although it is most painful. Where there are two hearts that are united in love, separation awaits them. Separation must be accepted. A Persian poet says, 'If I had known what pain separation gives in love I would never have allowed the light of love to be kindled in my heart.' God is jealous, as the Japanese say, of any other besides Himself. Whoever it may be that you love, it is this spirit of God in nature that separates sooner or later. This idea is symbolically expressed in an Indian story called Indra Sabha. The symbolism of this story tells us of the jealous God. Indra has its origin in the word Andar or Antar, which means inner, the innermost spirit, which man idealizes as God the Almighty. The Paris are the souls that He created out of His own being, whose dance in His praise, in His knowledge, in His presence, is the only thing He wants of them. The black Deva is the symbol of darkness, which in Sanskrit is called Tamas, under which the soul has built for itself a house of earthly elements, the physical body. God has created the world out of darkness. Sabz means green, which is symbolical of water, the first element that formed substance, matter in other words. Sabzpari means a soul drawn to the material body. When the soul involves itself in the earthly body, which Gulfam signifies, then the soul involved in the body becomes absorbed in earthly experiences, its love on earth, its joy on earth, and its comfort on earth. As the duty of the soul is forgotten by it, it being in the earthly pursuit, the red Deva, the power of destruction, who is constantly busy causing all change in nature by his power of destruction, then causes separation, death being the separation of body and soul. Still the soul, the dweller of the heavens, becomes wingless by the curse of the supreme Spirit and inclines earthward until it is purified from the five elements that constitute the lower world. 'Unless a man be born again of water and of the spirit, he shall in no wise enter into the kingdom of God,' one reads in the Bible. It is only then that the soul rises above all earthly influences and dances forever before the most high Indra, the Lord of lords. The effect of love is pain. The love that has no pain is no love. The lover who has not gone through the agonies of love is not a lover, he claims love falsely. 'What love is it that gives no pain? Even if one were crazy in love it is nothing.' The pain of love is the lover's pleasure, his very life. The lack of pain is his death. 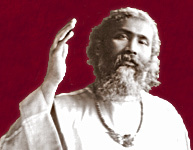 Amir, the Hindustani poet, says, 'Thou wilt remember me after I am dead, O my pain in love, for I have given thee place all through life in my tender heart, and have fed thee with my flesh and blood.' Everybody can speak of love and claim to love, but to stand the test of love and to bear the pain in love is the achievement of some rare hero. The mere sight of love's pain makes the coward run away from it. No soul would have taken this poison if it had not the taste of nectar. He who loves because he cannot help it is the slave of love, but he who loves because it is his only joy is the king of love. He who, for the sake of love, loves someone who falls short of his ideal is the ruler of love. And he who can seal his heart full of love in spite of all attraction on the part of the beloved is the conqueror of love. Those who have avoided love in life from fear of its pain have lost more than the lover, who by losing himself gains all. The loveless first lose all, until at last their self is also snatched away from their hands. The warmth of the lover's atmosphere, the piercing effect of his voice, the appeal of his words, all come from the pain of his heart. The heart is not living until it has experienced pain. Man has not lived if he has lived and worked with his body and mind without heart. The soul is all light, but all darkness is caused by the death of the heart. Pain makes it alive. The same heart that was once full of bitterness, when purified by love becomes the source of all goodness. All deeds of kindness spring from it. The sorrow of the lover is continual, in the presence and in the absence of the beloved: in the presence for fear of the absence, and in absence in longing for the presence. According to the mystical view the pain of love is the dynamite that breaks up the heart, even if it be as hard as a rock. When this hardness that covers the light within is broken through, the streams of all bliss come forth as springs from the mountains. The pain of love becomes in time the life of the lover. The soreness of the wound of his heart affords him a joy that nothing else can give. The heart aflame becomes the torch on the path of the lover, which lightens his way that leads him to his destination. The pleasures of life are blinding, it is love alone that clears the rust from the heart, the mirror of the soul. The nature of life is such that every little pleasure costs incomparably greater pain. The lover, therefore, has collected all pain that is the current coin, and his path will be smoother through life's journey from earth to heaven. There he will be rich when all others will be found poor. The imagery of the Sufi poets portrays the nature of love, lover, and beloved with such a delicacy of metaphor, complexity, and convention in its expression that their poetry makes a true picture of human nature. The lover is always imagined to be the victim of the tyranny of the cold-hearted and vain beloved, who gives no heed, revels with his rivals, pays no attention to his sufferings, gives no hearing to his appeal, and when she responds, responds so little that instead of being cured the malady is increased. The lover holds his unruly heart for mercy before the beloved, taking it on his palms. He places his heart at the feet of the beloved, who coldly treads upon it, while he is crying, 'Gently, beloved, gently! It is my heart, it is my heart.' The heart of the lover sheds tears of blood. The lover presses his heart, keeping it from running away to where the beloved is. The lover complains of his heart being so faithless as to have left him and gone to the beloved. The love begs of the beloved to give his heart back if it be of no use. The abode of the heart is in the curls of the beloved. The lover is restless, uneasy, and unhappy in the agonies of separation. Nights pass, days pass, all things change but the pain of the lover. The pain of love is his only companion through the nights of separation. The lover asks the weary night of separation, 'Where wilt thou be when I am dead?' The lover expects the coming of death before the coming of the beloved. He begs of the beloved to show herself to him once before he dies. He prays the beloved to visit his tomb, if not for love, at least for appearances' sake. The lover only wishes the beloved to understand him, to know how much he loves and what sufferings he is going through. The lover wishes constantly that either the beloved would come to him or he might be called to the beloved. Even the sight of the messenger of love makes the beloved cross. The good and ill of the world is naught to the lover. The lover complains of being robbed of ease, patience, and peace, and of having lost his religion, morals, and God. The lover is seen without hat and shoes, and regarded as crazy by his friends. He tears his garment in the agony of pain. He is tied in chains for his madness. He has lost honor before all. The wound in his heart is as a rose to the lover, the soreness in it is its bloom. He weeps in order to sprinkle salt water upon it to make it smart, that he may fully enjoy the sweet agony. The lover is jealous of the attentions his rivals bestow on his beloved. When the lover tells the story of love to his companions of love they all begin to weep with him. The lover kisses the ground where the beloved walks. He envies the privilege of the beloved's shoes. The lover spreads his carpet at the gate of the beloved. The eyebrows of the beloved are the Mihrab, the archway in the mosque. The patch on the cheeks of the beloved is the magic spot that reveals to him the secrets of heaven and earth. The dust under the feet of the beloved is to him as the sacred earth of Kaba. The face of the beloved is the open Quran, and he reads Alif, the first and symbolical letter of Allah's name, in the straight features of the beloved. The lover drinks Kauthar, wine, out of the eyes of the beloved. Her overflowing glance intoxicates him. The sound of the beloved's anklets makes him alive. The lover is satisfied to see the beloved even in the dream, if not in the waking state. When the lover speaks of dying the beloved disbelieves him. The lover is so wasted that even Munkir and Nakir, the recording angels, cannot trace him in his grave. Fear of the lover's approach makes the beloved gather up the train of her garment and lift it when walking past his grave, lest the lover's hand may reach it. With the deep sigh of the lover heaven and earth shake. His tears in the thought of the fair one turn into flowers as they touch the ground. Pain is his comrade in the heart of the night, and death is his companion through the journey of life. He plans and imagines a thousand things to tell to the beloved, of his longing, his pain, praise, and love. But when he sees the beloved he is spellbound, his tongue motionless and his lips sealed, his eyes engaged in the vision of the desired one. There are two worthy objects of love: on the lower plane man, and on the higher God. Every person in the world first learns to love on the lower plane. As soon as the infant opens its eyes it loves whatever its eyes see, whatever seems to it beautiful. Later there comes the love for what is permanent, for what is unchanging, which leads to the ideal of God. But then the man is already fixed in such a difficult position in life that there is a struggle between the one and the other. The idol pulls from one side and the ideal draws from the other side, and it is only the rare one who rises above this difficulty. This is explained in the life of Surdas, a very great musician and poet of India. He was deeply in love with a singer and took delight in seeing her. His fondness so increased that he could not live a single day without her. Once there was a heavy rainfall which continued for weeks and the country towns were all flooded. There was no means of getting about, the roads were impassable, but nothing would prevent Surdas from seeing his beloved at the promised time. He set out through the heavy rain, but on the way there was a river which was in flood and unfordable. There was no boat in sight. Surdas therefore jumped into the river and tried to swim. The rough waves of the river buffeted him, raised him up and threw him down as if from mountains to the abyss. Fortunately he was thrown against a corpse, of which, taking it to be a log of wood, he seized hold, and he clung to it and arrived in the end, after a great struggle, at the cottage of his beloved. He found the doors locked. It was late at night and any noise would have roused the whole neighborhood. Therefore he tried to climb up the house and enter through the upper window. He took hold of a cobra, which seemed like a rope hanging, thinking that it had perhaps been put there on purpose for him by his beloved. When she saw him she was amazed. She could not understand how he had managed to come, and the impression that his love made on her was greater than ever. She was as if inspired by his love. He was raised in her ideal from a man to an angel, especially when she discovered that he had taken a corpse for a log of wood and the cobra, the enemy of man, for a rope of safety. She saw how death is slain by the lover. She said to him, 'O man, thy love is higher than the average man's love, and if only it could be for God, the supreme Deity, how great a bliss it would be! Rise, then, above the love of form and matter, and direct thy love to the spirit of God.' He took her advice like a simple child, and left her with heavy heart and wandered from that time onward in the forests of India. Then he was blind for the rest of his life, and his songs of the divine ideal are still alive and are sung by the God-loving people in India, and if any Hindu is blind, people call him Surdas, which he takes as a term of honor and respect. 'Though I have loved only one, yet it is eternal,' says Mohi. There can be love only where there is one object before us, not many. Where there are many there can be no devotion. 'When in the place of one there are two, the peculiarity of the one is lost. It is for this reason that I did not allow the portrait of my beloved to be made.' That one is God, the formless and even nameless, the eternal, who is with us and will remain for ever. When love is for the human being it is primitive and incomplete, and yet it is needed to begin with. He can never say, 'I love God,' who has no love for his fellow man. But when love attains its culmination in God, it reaches its perfection. Love creates love in man and even more with God. It is the nature of love. If you love God, God sends His love evermore upon you. If you seek Him by night, He will follow you by day. Wherever you are, in your affairs, in your business transactions, the help, the protection and the presence of the Divine will follow you. The expression of love lies in silent admiration, contemplation, service, attention to please the beloved, and precaution to avoid the beloved's displeasure. These expressions of love on the part of the lover win the favor of the beloved, whose vanity otherwise cannot easily be satisfied. And the favor of the beloved is the only aim of the lover, nor is any cost too great a price for it. The nature of beauty is that it is unconscious of the value of its being. It is the idealization of the lover which makes beauty precious, and it is the attention of the lover which produces indifference in the beautiful, a realization of being superior, and the idea, 'I am even more wonderful than I am thought to be.' When the vanity of an earthly beauty is thus satisfied by admiration, how much more should the vanity of the beauty of the heavens be satisfied by His glorification, who is the real beauty and alone deserves all praise. It is the absence of realization on man's part that makes him forget His beauty in all and recognize each beauty separately, liking one and disliking another. To the sight of the seer, from the least fraction of beauty to the absolute beauty of nature, all becomes as one single immanence of the divine Beloved.